“I’m nobody.” TNT has just released a new trailer and the premiere date for their upcoming TV show, I Am The Night. From Patty Jenkins, the drama “tells the gripping story of Fauna Hodel (India Eisley), a teenage girl who is given away at birth, and grows up outside of Reno, Nevada. Fauna lives more-or-less comfortably with the mysteries of her origin, until one day she makes a discovery that leads her to question everything.” Chris Pine also stars. I Am The Night debuts on TNT on January 28th at 9 p.m. ET/PT. 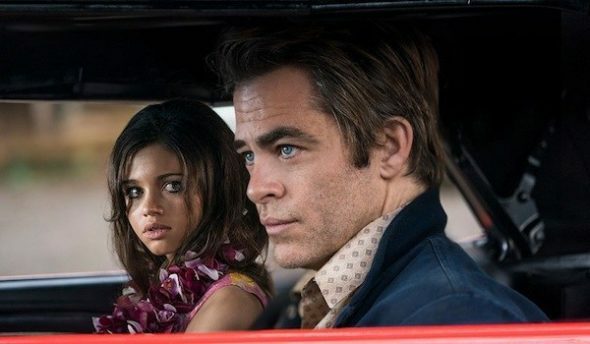 Director Patty Jenkins (Wonder Woman, Monster) has released a new trailer on Twitter for TNT’s highly anticipated limited suspense drama, I Am the Night, starring Chris Pine (Wonder Woman, Star Trek). I Am the Night premieres Monday, January 28, at 9 p.m. (ET/PT). What do you think? Are you a fan of mysteries? Will you watch I Am The Night?